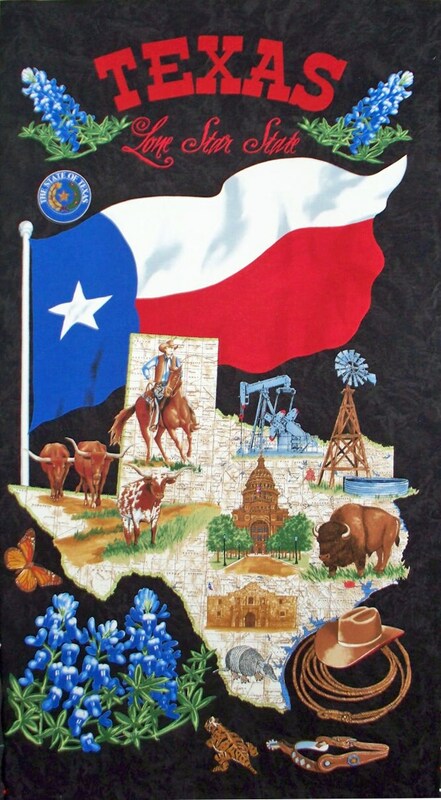 Lone Star Map Black cotton panel -- approximately 23" x 44"
Texas Our Texas Brown cotton panel -- approximately 23" x 44"
Love these panels. Shipped really fast. This was my second order. Will be ordering more. Seller always gives quick responses for any questions. Love this panel! Ordering more to make quilts for my family! Quick shipment. Thanks! Quality Product. Great product description that matched the product. The shipping was incredibly fast. GREAT communication.